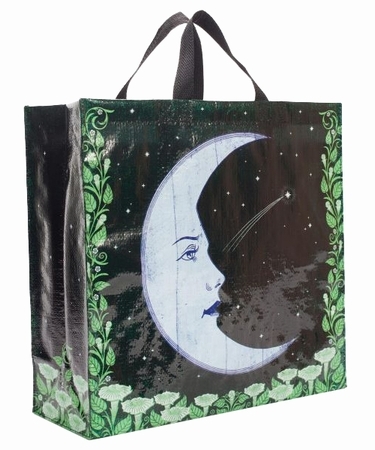 When we first started designing this bag, this moon lady was going to be talking on a vintage telephone. One day, we were reviewing a few sketches and Jess came by and said what the hell is that moon doing?! So, we took the phone out. Art by Michael Mabry. Robuste und strapazierfähige Einkaufstasche, aus 95% wiederverwerteten gewebten Polypropylen.